Diana Pishner Walker was born in Clarksburg, WV and is the daughter of the late Louis and Anna Allessio Pishner. She attended Notre Dame High School in Clarksburg, WV and graduated in 1977. 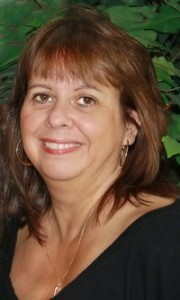 She attended Fairmont State College, Fairmont WV and was a “Fast ForWord” computer aide at East Dale Elementary School. Currently, Diana is part of the Headline Kids School Show program and visits schools, libraries, and speaks to groups across the United States. Diana resides in Fairmont, WV with her husband Mark and their three children Curt, Courtney, Chris and his wife Ashley. They have two grandsons Ashton Louis and Austin Maddox. Diana’s Italian roots run deep. Her maternal grandparents were from San Giovani in Fiore, Province of Cosenza, Italy. Her paternal grandparents were from Caulonia, Reggio Calabria Italy.